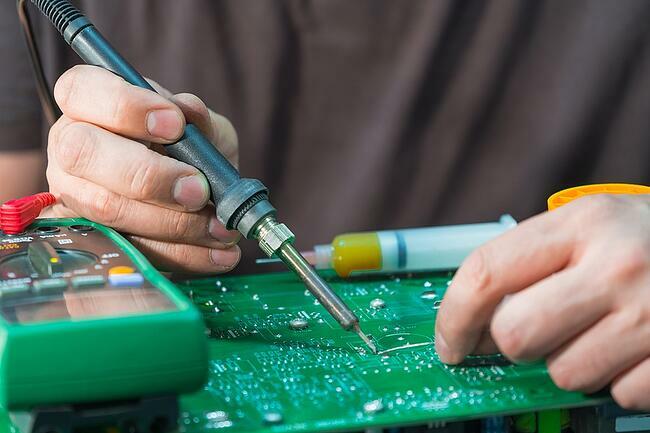 We all want things done fast, but when it comes to an electronic assembly, perhaps we need to take it slow. There is a big difference between fast and cheap, and done affordably well. In electronic manufacturing, things done fast usually come with a side order of mistakes. Fast does not allow for a thorough analysis of the project or its specifications. If it’s done too quickly, it will likely mean end usage will only get a cursory glance and parts suppliers won’t be properly vetted. While the product will indeed be done fast and cheap, the low costs correlate with low-quality work. Affordability and quality are more important than fast. Doing things right, making sure to thoroughly review a project, taking a team approach, and choosing a manufacturer that values quality is your best bet to avoid the hidden costs of getting a product made too quickly. If you received a part right away but it didn’t match your specifications or work correctly with your components, would you be happy? Probably not. Missed deadlines can be costly. Add to that a part that matches your drawings but doesn’t work within your assemblies is even worse. When we take a fast approach, parts that don’t fit, match specs, or meet your needs are bound to happen. A fast product may not even meet your end goals. Getting it quickly costs a lot in terms of form, fit, and function. Get parts that fit and meet your needs for function by allowing time to get it right. This doesn’t mean throwing the timeline out the window. It means accepting that your ideal product simply cannot be turned around overnight. Good work can be quick, but it can’t be fast. The best outcomes are often the product of a team approach. When you allow time to provide feedback, assess options, and analyze a range of alternatives, the overall product will be much better and maybe even less expensive overall. It is possible to get a product done fast without any feedback and without the benefit of multiple engineers considering the options, but is this what you really want? Again, it might get to you fast, but it will no doubt be lower quality and less efficient without a team approach. An efficiently produced product does not need to fall behind schedule. A smart production timeline will include time for feedback, analysis, revisions, and additional experts looking over your project. Levison Enterprises maintains the highest level of quality certifications, and not just because they look pretty on the wall. We hold ourselves accountable for these standards because we want to provide the best electroic products our customers and partners. We believe high-quality work done well and quickly (not fast), is what’s in the best interest of nearly everyone we work with. Not every product requires ISO 9001, AS9100, IPC and J Standards, but we provide this level of quality to every project we manufacture because we believe in doing the best work, not the fastest. At the same time, part of our White Glove Customer Service commitment is to meet timelines. We know that time is money and we hold ourselves to high standards for meeting deadlines as well as maintaining quality. If you want your product fast, and know the potential costs of taking that approach, we might not be the place to call, but if efficient service that produces quality products sounds like your approach, we will proudly offer you the best of both. Our team and project managers are trained and experienced in helping you determine your needs – affordability, quality, timeline, end use, etc. We believe in taking the time to work through these needs so that, ultimately, you are satisfied in the long-term. We aim to minimize mistakes, meet your exact specifications (the first time), and provide you with parts suppliers who are ethical and reliable. There is a big difference between fast and cheap, and done affordably well. 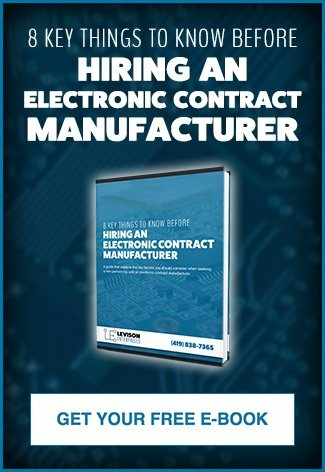 Levison Enterprises is your electronic contract manufacturer for affordability and well made products.